Unlike books that are written “on spec” for commercial gain or a misguided yearning for immortality, this opus is the proverbial labor of love of one enthusiast’s lifelong unwavering interest. 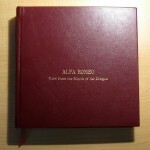 The buyers who snatched up this limited edition had the good sense to recognize that the author’s monumental efforts stand in no proportion to the purchase price and know it is they who got the greater value in this transaction of dollars for knowledge—for these books speak of things not found anywhere else. 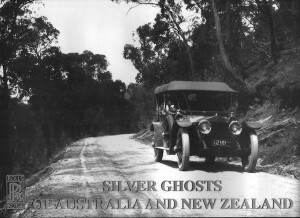 A not inconsiderable number of Rolls-Royce’s famous Silver Ghost cars found their way to Australia and New Zealand, new or used, and even spurned a particular variant more suited to harsher conditions: the Colonial chassis. For all the usual known and commonplace reasons the tooth of time gnawed away at them, although their decline in these countries—thanks to a benign climate—was less drastic than elsewhere. Of the 6,173 British and 1,703 American-made Springfield Silver Ghosts Rolls-Royce produced, 110 are documented in Vol. 1 and 163 in Vol. 2. Remarkably 50% of the former and 70% of the latter have survived in ANZ, and nearly all are still running. Among Rolls-Royces this is not uncommon. Following a basic summary of Rolls-Royce history and remarks specific to the genesis and particulars of this model, the books record most, if not all, Ghosts ever registered in ANZ. 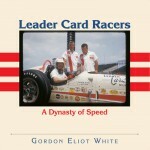 Through interviews of many of the original owners and later owners and their descendants the author has been able, in most cases, to follow the changes and modifications made to individual cars over the years. 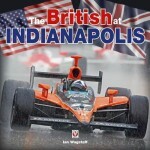 The books abound with b/w period illustrations of cars, people and locations, many published for the first time. Many of the car photos are given a full page. 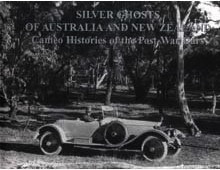 Cars are shown in all stages of their life cycle, from brand-new to rotting chassis, and so the books paint not only a comprehensive picture of pre- and postwar Silver Ghosts but also of early ANZ motoring conditions and history. Furthermore, there are contemporary cartoons, advertising and chassis cards, plus tables showing the last known locations of cars, production data by year and model, original registration numbers, and an index of known ANZ owners. Vol. 2 appends a facsimile of the Rolls-Royce company’s 22-page booklet “Memoranda on Fitting Coachwork and Completing Rolls-Royce Cars – For the Confidential Information of Coachbuilders”, a source of valuable information about an aspect of vehicle preparation owners are not normally privy to. Speaking of coachwork, followers of American automobile styling should be particularly interested in the photos and descriptions because Australian designers took noticeable cues from the popular American silent movies of the day. 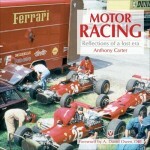 Each volume contains one index of cars by registration number (British/Commonwealth registrations normally stay with the car and are a vital clue for the identification in, for instance, photos) and one of cars by name of original owner. Of note, there is no page index for the cars described. 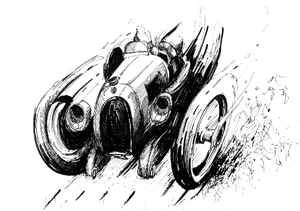 This is not a problem when the car chassis numbers are in numerical sequence but is a challenge for post-1913 cars which did not use this methodology. For them the reader must be familiar with the chassis letter-pair sequences, or keep referring to (or photocopy) the list on p. 377 in Vol. 1 until s/he knows them by heart. It is compulsory education! 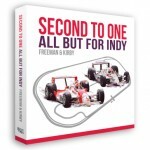 Also, the books’ landscape format, which lends itself well to showing cars in profile, will present a challenge to people who slave over the symmetry of their bookshelves. Possibly a concession to the general demographics of Ghost owners these days, tired eyes will appreciate the comfortably large type! Irwin’s enthusiasm for early motoring goes back over half a decade. He has served as Federal Secretary and Federal President of the Veteran Car Club of Australia, and is a past President of the Rolls-Royce Owners Club of Australia (ACT Branch) Inc. In 1990 he was awarded the Order of Australia Medal for his administration of the 1988 FIVA Australian Bicentennial World Rally. He has owned several Silver Ghosts, and has restored the 1910 chassis #1404, originally ordered by John Scott Montagu, Second Lord Montagu of Beaulieu, possibly Britain’s most notable motoring family. It was this very car that inspired sculptor Charles Sykes to conceive of the now legendary Rolls-Royce mascot, “The Spirit of Ecstasy”. Rolls-Royce cars are among the most zealously documented marques in the classic-car world and are traded from one corner of the globe to another. The astute collector will recognize the unique value of documentation such as this. Being privately published, the books were only available on a pre-subscription basis and subscribers—listed by name on a tipped-in sheet—from 18 countries took the opportunity to acquire them. The 350 copies of Volume 1 are sold out but it does show up on the secondary market, if only infrequently and at steep prices. Volume 2 had an additional 150 copies printed and a few are still available. 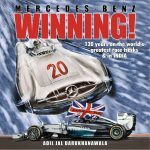 The author will consider doing additional runs in batches of 150 if a sufficient number of prospective buyers indicate their interest by contacting him at: PO Box 333, Hall, ACT 2618, Australia. Ph/fx (int’l)  6227 5709, keadymore@activ8.net.au. Adapted from his review in the July/August 2004 issue of The Flying Lady, the periodical of the Rolls-Royce Owners’ Club (RROC/USA), which he edits.